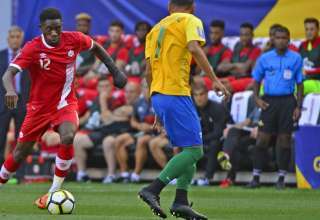 Give Canada Soccer a bit of credit: Usually, documents as other-wordly boring as strategic plans and goal-setting agendas are the stuff of press releases that are immediately deleted. The organization instead revealed the next stages of the association’s Strategic Plan for 2019-21 (capitalized for emphasis!) 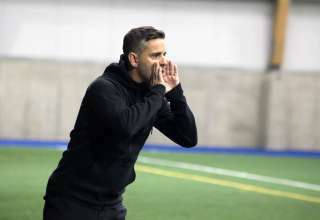 in a press conference from Toronto, streamed to the nation, with gift-for-the-gab men’s national team head coach John Herdman getting the last word in. There was a bit of showmanship to the thing. There were consistent reminders that Canada is on the right path, is getting world-class results and wow, everyone needs to rally around the World Cup that’s coming in 2026. Considering that the numbers are showing a decline in Canadian soccer registrations and that, currently, there really is not any 2026 World Cup hype to speak of in Toronto, Montreal and Edmonton — the potential Canadian host cities for the tournament — well, maybe some smoke and mirrors are needed. Maybe the hype machine does need to be ignited. Let’s face it. It is vitally important for Canada Soccer to rally around the 2026 World Cup as much as possible. The cities and provinces and the feds are still going to be required to write cheques to refurbish stadiums, improve infrastructure and plant some grass fields. While this is touted to be a cost-effective World Cup, these tournaments don’t come cheap. And remember that Edmonton continues to commit to the tournament, even though the Province of Alberta’s NDP government has so far not promised a dime towards the World Cup. In the end, the city will only be able to host if it’s got support from its provincial and federal partners. In Toronto, the city will need to eventually work with Premier Doug Ford, who has been on a slash and burn campaign ever since he won the election. It’s easy to say “but these leaders and policies might not be in place in 2026,” but the truth is the decision on funding and infrastructure and stadium improvements will need to come sooner rather than later. So, after Canada Soccer General Secretary Peter Montopoli said Canada’s men’s and women’s teams were getting ”consistent world-class results,” after Vice President Nick Bontis talked about the three pillars of “Develop, Govern, Grow,” after President Steven Reed stated that we are realizing our goals and are on the right path, after Director of Development Jason de Vos talked about giving coaches the tools they need to meet their players’ needs, after women’s coach Kenneth Heiner-Moller talked about setting even bigger goals for the national program, Herdman came out for the last word(s). Herdman talked about how Canada WILL qualify for the 2022 World Cup, and that “we’ll lay a high-performance foundation” in that tournament. He talked about how the Strategic Plan will unite clubs, academies, MLS teams and Canadian Premier League teams under one youth-development blueprint. He talked about how the “one Canada” approach will cross the boundaries of the men’s and women’s programs — and how Canada is unique in that both the men’s and women’s coaches have worked together extensively. Basically, in a true poetic fashion, he re-endorsed the moves to transfer him from coaching the women’s team to the men’s team, and promoting Heiner-Moller to head coach of the women’s program. 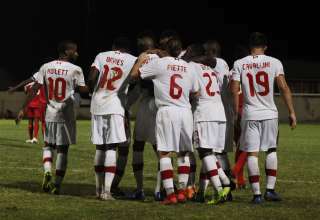 “One system, one team, one Canada,” Herdman said. “We’ve got eight years to bring this alive,” he said. “If not you, who? If not now, when? ” he said. 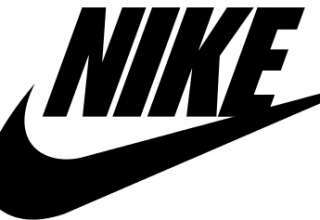 And then there was the shout out to Nike, who took over as Canada’s kit and apparel provider in January. So, what about this plan, then? Well, Canada Soccer canvassed the opinions of 3,000 Canadians — and used those insights to develop the next stages of the national soccer strategy. De Vos said that coach’s courses for children’s coaches and youth-level coaches are being revised, to “give coaches the tools they need to understand their players and meet their developmental needs.” With online and travelling courses, the programs should be more accessible. But the key is to have all the programs pulling in the same direction, which leads to eventually filling both the men’s and women’s player pools. The goal is for both Heiner-Moller and Herdman to have headaches when it comes to making team selections. The goal is to force both of them to have to agonize over their rosters. Get us to the World Cup. Score more than ZERO goals. Don’t get pounded by some banana republic 8 – 0. Try to lose to Mexico by less than 4 – 0 on aggregate.